Psychiatry ignores that autism is a psychogenic condition just like daltonism, dyslexia aphasia and stuttering. 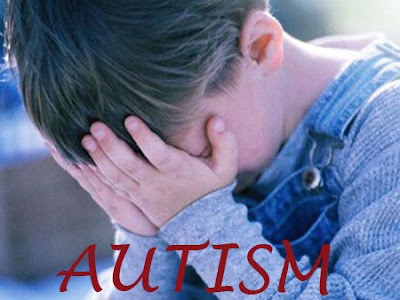 Autism is caused by engrams that produce that behavior. It’s very common hearing parents rebuking their children by saying things like: “Be quiet”, “shut your mouth”, “Don’t play anymore” or “Don’t move”, Although, these orders might sound harmless, if the children have their analytic minds diminished or disconnected because of an accident or an illness, these orders are recorded in their reactive minds like an engram or a powerful hypnotic order with unpredictable consequences. Ruanel: Hello. How are you? Interlocutor: I remember the quote, it is very amusing and at the same time very insightful. Shall we pass directly to the questions? Professor: “I have a seven year-old child who suffers from autism. I had already known Dianetics before, but for some reasons, I didn't deepen it. I know it wasn’t the moment. Now I want to ask you: How can an engram be deactivated without the active participation of the auditee? Because my baby won't do anything, because he is in another mental frequency. Ruanel: The case of this person's son is engramic, that is to say a Psychogenic dysfunction. Interlocutor: Concretely, it is not genetic? Ruanel: No, it is not genetic, but, I repeat, psychogenic. 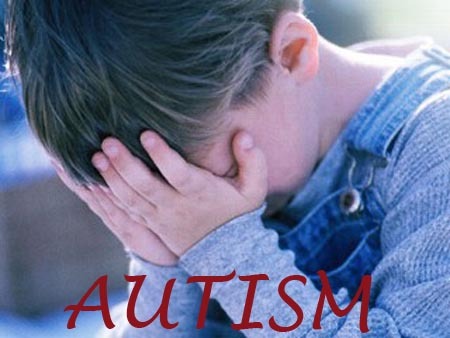 But sometimes, in spite of not having a genetic origin, like the case of this small child who suffers autism, he cannot surmount the problem even though the mental effort made by his 10% or the spiritual part that embodies. In addition his mental decoder is altered. Interlocutor: How can we help the mother? Ruanel: Not the mother, but the creature. At this time he can be helped with special sounds. Ruanel: The sound of the dolphins, for example, it’s a very convenient sound because they emit very high frequencies that somehow modify the DNA chain. But not everybody is capable to accept this therapy nor do they have the money to defray the expenses of the treatment. Interlocutor: Are you referring to the therapy called “Dolphin Therapy”? Interlocutor: But Isn’t there any other sound that somehow replaces the sound of the dolphins? Ruanel: Yes, for example classical music. Interlocutor: Any kind of classical music? Ruanel: No, not any kind of music. The music must not be aggressive. Interlocutor: At this time, in spite of knowing about classical music, I cannot say which one would be aggressive. Ruanel: The opera, for example, is aggressive. I refer, naturally, to the lyrical part. There are voices that are very irritating. Interlocutor: Now I understand. For example, Would it be recommended “The Moon Light Sonata” by Beethoven? Ruanel: Yes, but only the first movement, “Adagio”. They are also advisable the Viennese waltzes. As much as possible piccolos, flutes. You already know about classical music you can recommend her which music would be appropriate. Interlocutor: I would have to start thinking and make a list. How can the music be played? I mean if it is necessary to put him headphones or to get his attention so that he listens to it or something like that. Ruanel: No, nothing like that. It has to be like background music, there is no need that he pays attention to the music or he uses headphones. Interlocutor: Nothing capable to disturb him? Ruanel: Not at all! The background music can be played while the child continues doing his things. Interlocutor: Can he use Dianetics when he grows up? Ruanel: Yes, of course, but it depends on how he will improve. Interlocutor: And What can the mother do, meanwhile? Ruanel: It depends on the problem the mother has. If the mother's problem is the anguish for the son, she has to realize that all that happens is because of a karmic reason. You already know that karma is not punishment but only pending lessons that the spirit wants to learn voluntarily in order to evolve. Nobody forces to anybody to embody or learn any kind of lesson: the spirit decides it freely. What I want to clarify is that even though it’s related to karma, it is necessary not to give up. Not at all. She must struggle likewise. Interlocutor: I understand. Is Karma related to the mother or the son? Ruanel: Both of them, but each karma is independent. There are no double karmas. For example, if I embody as an “X” person and I have certain karma or a pending lesson to learn for something I did in my previous life, I have to fight back that is to say, the Absolute gives me free will and nobody obstructs me. I don’t have to surrender to suffer certain problem. Interlocutor: Definitely what the mother has to do is fight back? Ruanel: Yes, of course, if she embodied for that reason. Interlocutor: Could we know what kind of engram provoked the autism on the child? Ruanel: Fear to verbal violence. Interlocutor: Could you give me more information? For example, who are the ones that caused his condition? Ruanel: The family environment. He locked himself up in silence so that not to listen to that verbal violence. I am not speaking about physical violence, but verbal violence like: yells, threats, profanities. Interlocutor: Well that is something normal that happens in all the families. Ruanel: It also produces me “itching”. Things would have to be otherwise, family arguments would have to be something exceptional, not something common. Interlocutor: Master, you were incarnated and you know how families are in the physical plane. Ruanel: Yes, but a long time has already passed so that everybody knows the damage that a discussion among adult people can provoke in the children. The reactive mind of a child records everything! Interlocutor: But Isn’t there an aunt who said things to the kid while she was scolding him and maybe she hit him as well? Ruanel: The case is that there is nothing like that. It is not something against the boy, it’s necessary to highlight that. Interlocutor: All the words of the engram are discussions that the small kid heard and they were recorded in his reactive mind? Ruanel: Correct. Don't forget that it doesn't matter if the words were not said directly to the boy, because the reactive mind receives them as if they were addressed to him. The reactive mind is a survival mechanism that doesn't discern, it only records automatically without analyzing the words. Ruanel: The boy was very sensitive, very upset, against those attacks, even though they were not addressed to him. And then he disconnected himself. Interlocutor: Did that disconnection isolate him totally? Ruanel: No, on the contrary. What all of you must understand is that the autist continues perceiving everything! Do not be deceived if he has an absent stare, if he swings like an elephant. He perceives everything! Interlocutor: What does this mean? I mean to the importance if the autist boy perceives everything. Ruanel: It means that no treatment, no classical music, even though they are useful will help him if the discussions and the quarrels continue in the autist's environment. On the contrary, he will lock himself up even more, and he will not want to communicate. Interlocutor: Are you saying that the autist’s environment has to be peaceful, to say it somehow? Ruanel: I am saying that he has to have a total tranquility. Interlocutor: Summarizing, then, soft classical music and very calmed environment? Ruanel: Correct, but it is not necessary that it be only classical music, it’s enough if it’s functional, but always in a balanced way without invading him, because then it would be contraindicative. In addition and I repeat, it is not necessary that they do something so that the boy pays attention to the music. They simply have to put it like background music in his environment where he is at. That’s enough. Interlocutor: At this moment I remember that this vessel has tapes with relaxing music, with bird songs, whispers of the forest. I believe that he bought them in some shop where they sell things of New Age. Can these help him too? Interlocutor: How old must he be to be treated with Dianetics? Ruanel: I repeat it: it depends on how he evolves. If the boy continues closed, Dianetics won't help him. Interlocutor: Well, but let us suppose that he opens himself up. Ruanel: In this case yes, but starting from his twelve or thirteen years old. Interlocutor: Is there something else you want to add on this? Dear professor: My question is: How can I know the origin of the autism of my son, who is almost five years-old? He doesn't speak, he shakes his hands, he bites objects, when I hug him he also bites me and he doesn’t control his impulses, sometimes he scratches me and bites me. When he sees strange people in the house, he cries and is uneasy, he doesn't play with other children, I write you very depressed and I hope you answer me soon. I will be deeply grateful. Ruanel: This boy's autism is genetic, but caused by karmas of past lives. Interlocutor: We know that genetic dysfunctions are chosen freely by the spirit before to embody in order to learn certain karmic lessons and in this way be able to evolve. Is this also the same case? Interlocutor: Is there some solution? Ruanel: If he is treated, he can improve but not to become 100% rehabilitated. It’s necessary to give him support, affection, contention, things that will help him to surmount his problem partially. Interlocutor: Is this karma only of this spirit? Ruanel: No, his parents are also involved. Interlocutor: Would they have to be still somehow? Ruanel: Never! They have to struggle, and not only offering him affection and contention, but also asking to specialists, because he has a possibility to evolve a little and it would not be reasonable to obstruct him. Interlocutor: Is there some engram of this life that is also oppressing him? Ruanel: No, not at all, of his present life there is nothing, everything comes from past lives. Interlocutor: Summarizing, the dysfunction is mental, organic and it comes from karmas of past lives, and the parents have to give him a lot of love and contention. Am I right? Ruanel: You are forgetting the professional part which is also important. Interlocutor: What kind of Professionals? Interlocutor: is there something else you would like to add on this case? Ruanel: No only that they should not relinquish at all. Interlocutor: The topic is clear, thank you Master. This entry was posted at Friday, November 27, 2009 and is filed under Medical Science . You can follow any responses to this entry through the .